One of the early, major decisions you will make in your foray into online website investment is whether you should purchase an already existing platform or build one yourself. This is an important decision that will affect your time, resources, and strategy as you build your online business. While this is a valid question, there is strong evidence to suggest that buying an established website is the more attractive option here. In this episode, Ian weighs the pros and cons and makes his case for why you should focus your activity on established online properties. 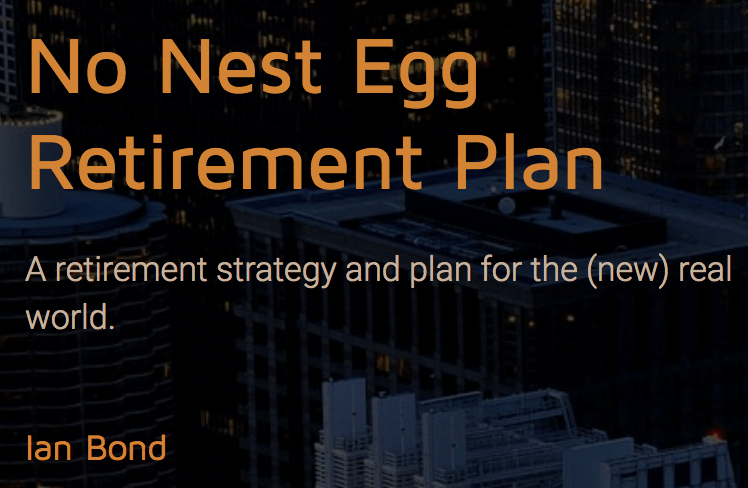 Welcome to the Red Pill Retirement podcast where we give you the raw, unfiltered truth about retirement planning in the modern age. 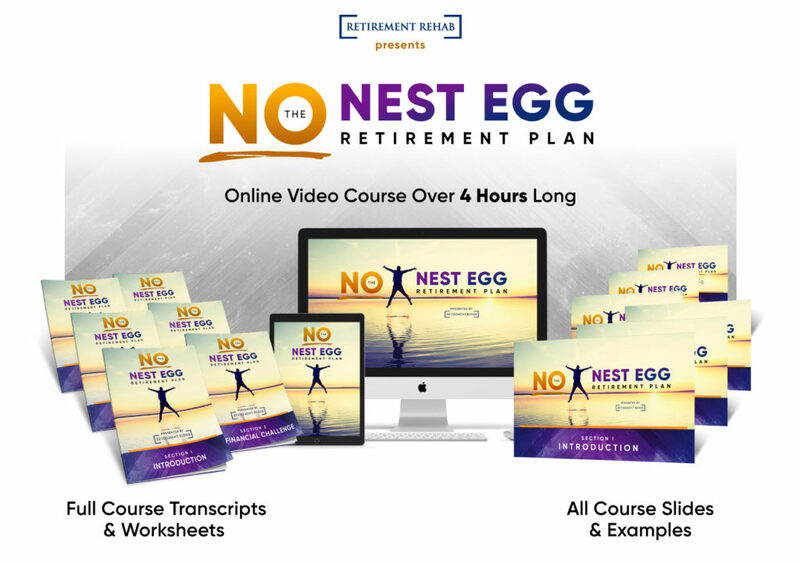 Pensions and 401K’s are quickly becoming a thing of the past, so we’re here to share resources and recommendations that will help you create the retirement lifestyle you always dreamed of. If you’re ready to take control of your financial future, we’re ready to help. Let’s get started. I’m your host Ryan Cowden, and this week we’re joined by Ian Bond from Red Pill Retirement dot com. In this episode of the Red Pill Retirement podcast, Ian and I discuss the debate between building or buying online websites. One of the early, major decisions you will make in your fore into online web investment, is whether you should purchase an already existing platform or build one yourself. This is an important decision that will affect your time, resources and strategy as you build your online business. While this is a valid question, there is strong evidence to suggest that buying an established website is a more attractive option here. In this episode, Ian weighs the pros and cons and makes his case for why you should focus your activity on established online properties. 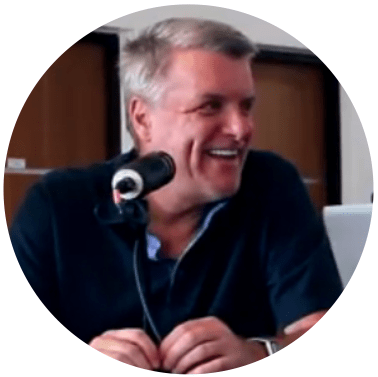 In this episode, you’ll hear Ian defend his conclusion that established websites are the more attractive investment, specific benefits that established websites offer, and lessons from Ian’s first website purchase. If you’re weighing the decision of what type of website to invest in, this episode is one you won’t want to miss. There’s a lot of actionable advice in this episode. So grab something to write with because you’re going to want to take notes. As always, I’ll be back on the other side to wrap up any loose ends. So, without any further ado, here’s my conversation with Ian Bond. All right, Ian, welcome back to the show, how you doing man? Ryan, never better. We’ve gotten through kind of the wild and crazy Thanksgiving and Thanksgiving shopping holidays and we’re coming into the homestretch to end up 2018. And so, as I’ve said before, I love finishing strong because that’s how you start strong for the next year. Call this the ruling season because how we finish is gonna rule how we are able to behave next year, it sets the rule all right. Right, that’s great. Well, we’re talking about something that I know you’re passionate abut today. 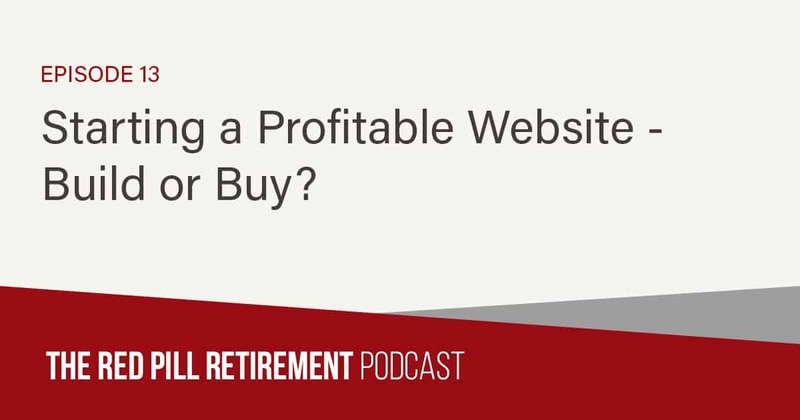 We’re talking about how to build profitable websites and we’re raising the question of should you build that website or should you look to buy it from someone else. And the answer is yes, okay. So we can dive into that. And I have, as you know, a fairly, I have a fairly strong view on this. Okay. Well, let’s jump right in. What is your recommendation between building or buying a website? Sure, so we wrote a blog piece back when we launched the site about lessons I’ve learned in website investing and why I feel that investing in websites is the most promising asset class that you can invest in. And I do this with over three dozen years of experience in investing in all kinds of asset classes. So, I would point anybody who wants an institutional analytics to take a look at that, drop me online and I’d be happy to defend that because I interview asset managers on a daily basis in my day job. And so I have a very strong view on it. But the reason I became compelled is that I saw this incredible opportunity in this asset class and I’m not a genius, I know that 90% of all small businesses fail in the first five years and of the ones that survive, 90% of those fail in the next five years. And those are bricks and mortar businesses, probably higher in website investing, so that’s number one. I didn’t think that I’d be the one to probably find one of the 10% that would create one of the ones that would survive the first five years. I didn’t think I’d be that lucky. And number two, I was already in my mid to late 50’s and I don’t have the time or the inclination to do that. And so, coupling that age factor with statistics that so many fail, such a huge percentage fail, buy a profitable one cheap, on the cheap, and then operate it. Don’t spend the time. The question Ryan, comes down to, do you have more time or do you have more money. And when you have something as cheap in the marketplace as websites, it really tilts in favor of buying rather than creating or building. Okay, yeah. Because the point of all this is to make money right? It’s absolutely the case. Making money is why we’re here. Yeah, it seems like a lot of online businesses start off, people try to start blogs or thins like that. Is that a good class to invest in or? Okay, all right. So anybody listening to this, if someone is preaching to you to start a blog the finance your retirement, immediately unsubscribe. That’s the worst advice on the internet. You will be eating cat food in your old age, you’ll be a greeter at Sam’s or Wal-Mart. Not that that’s a horrible thing, that was something my dad always wanted to do, when he was a – he liked to talk. But, I mean, there are more blogs on Earth then we need. And they are proliferating like every day. It’s a horrible notion that you can start a blog and monetize it as your way to fund a retirement or to fund anything meaningful. Now, it is not a horrible idea if you want to do this, start a blog, to enhance your professional career. It’s not horrible idea if it’s something you want to do because you’re passionate about it and you really like it, you want to contribute to a community of people or maybe develop a community of people. It’s and to a bad idea to want to do it as an accountability thing, hold yourself accountable to something. I’m following a guy that I’ve known that’s in the Philippines who’s lost over half of his body weight. I started following him because he is called 430 to Fit. And it’s the number 430 T-O-F-I-T, and his name is Bob Phillips and he’s lost over half of his body weight. I started following him ’cause he’s commented about life in Dubai City in the Philippines and he had a health scare. So he’s doing, he’s taken 430 To Fit and chronicled his own journey to becoming fit after several health scares. 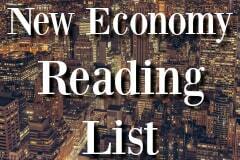 It’s marvelous reading. Is he going to make a fortune out of it, no. But he has a number of supporters helping him along the way. And he has a bunch of people that he’s helping and he’s getting a lot out of it. I mean, that’s great. I think enhancing your professional career is great. I think there’s a number of good reasons but it will not fund your retirement so it’s horrible advice to start a blog to fund your retirement. Oh no, that’s good. That’ good advice ’cause it’s, I feel like you’re always looking at new blogs popping up and advice on how to get your blog, how the get followers. Oh yeah, yeah, if you’re gonna do this, please use our blue host affiliate link so we can make millions of dollars off of people that are gonna do that, please. And we have that. So for people looking to jump into the website world, I feel like one of the first decisions you have to make is are you gonna design this website yourself or are you gonna hire someone to build it for you or purchase one. What’s your recommendation on that? Well, okay, so let’s go down the path for a career professional, someone who’s contemplating retirement. Again, it comes down to time or money. Most things you can particularly in the website world, whether you’re creating or whether you’re just operating one, most things you can outsource relatively cheaply. We advocate staying on all of the standard platforms. You know if you’re gonna be blogging because of the reasons I just suggested, or if you’re gonna do eCommerce which is what we do, the standardized platforms you can get tons of help. So, you know, why would you spend time doing that when you can spend your time creating useful content that you have the years of experience to share with the world, why would you go and learn how to upload products on Shopify or do the latest, greatest thing on WordPress. I don’t see any point but there are some people that geek out about that stuff, I don’t. Okay. So, let’s dig into some of the main reasons why, I just want to get more in depth on why existing websites are good for someone to buy and one of the points that you raised in one of your articles was, Established websites already have a built in audience. Can I hear more about that? Well, yeah, I mean, look, if you are going to start a website, you’re gonna toil away and look, there’s lots of great advice out there that says, “How to pick a niche,” and “Check out your competitors,” and “Emulate the Good Things,” and “Find Your Voice,” and “Take a Controversial Opinion Relative to the Crowd That’s Out There.” You’re still gonna have to figure out how to drive traffic to your site and whether that’s eCommerce or whether that’s a blog. And the reality is that if you have already been able to find a site that has traffic coming to it for whatever reason, either it’s organic traffic, and we’ll go through organic traffic strategies and paid traffic strategies in a whole different episode. But if you can capitalize on either organic or paid traffic and there’s a way to drive profitable traffic to a website, you’re gold okay. Now, if, you could spend years trying to develop that on your own. I don’t advocate that, I advocate buying one where somebody’s already cracked that code, just that simple. It’s incredibly hard, it’s a bottomless pit of money. Using Google and Facebook can cost you a fortune, just learning how to use Google and Facebook is painful. Outsourcing it is incredibly painful and expensive, for Lord’s sake, take the easier route. Find a website that fits your criteria and capitalize on the fact that these things are cheap now and they won’t stay this cheap. Because you know Ryan, as I pointed out in the article, a lot of websites yield two percent or to three percent per month of what you paid for them. So if you paid $25,000 for a website, or $50,000, that means that on a monthly basis you can see profits of $500 to $1000 on a monthly basis. Those are cheap numbers, two percent per month in an era where savings accounts are two percent per year is really worth your time to learn how to organize people that can work for you and start your empire of buying websites, I think. Yeah, sure. So on a practical level, once you buy that website, are you just kind of the owner and you’re letting the people still run that website or are you becoming hands on with the website? Great question. I think that it behooves you at the beginning to get in and break down the activity chain of things that need to be done and figure out where you can add value. This is gonna harpen back to the comment I just made that you probably shouldn’t do this in this particular episode. But, let’s just take eCommerce for example, I think that there are three principle activities in eCommerce that you have to solve for. Number one, you have to have supplier relations. Number two, you have your website stuff that you’ve gotta deal with. And number three, you’ve got your customer service piece, okay? So now you have to figure out how you’re going to do those things, what you like to do versus what you don’t like to do, what you’re able to do. So we live nine time zones ahead of the east coast of the United States, and we sleep while customers shop. So clearly we outsource our Customer Service and we have all kinds of standard operating procedures in place for our team. And we even have somebody checking our team so that when we wake up in the morning, we have a person who’s a COO type that is checking the make sure that the orders that came in were entered correctly and sent to the suppliers correctly, that there was no slip between the lip and the cup there. So, there’s all kinds of ways to break it down. There’s all different ways to do it. The beautiful thing obviously, and we point this out in the article that I mention, is that this business can be done from anywhere and we have done it from anywhere. We’ve done it from vacations, my wife has traveled on personal business, or family business. Her team has no idea, nor do our suppliers, have any idea where we’re at. And on any given day, all you need is an internet connection and your phone or your laptop. My wife right now is at my son’s hockey practice working on the business because when she gets home, United States will be opening for business and she wants to spend time with the family. And she can monitor the early hours in the United States. But she’s working on stuff that she has queued up to do, or she’s organized her work life around her real life. Yeah, it does. You made a comment a couple minutes ago that people should get in now while it’s not super expensive and that it might be more expensive down the road, what did you mean by that? Well, this is an emerging asset class so my investing career goes back to 1980. And I can remember when over the counter stocks, which are now known as the NASDAQ stocks, traded at ridiculously cheap prices. And huge spreads between the bid and the offer, small cap stocks were incredibly powerful performers. They also had higher failure rates ’cause they were smaller companies, they weren’t the blue chips. And I’ve spent my whole career looking at the next frontier in investing where there’s poorly organized information, where there is great fundamentals, where a little bit of homework on your own and you can make outsize returns. That’s what this asset class represents in 2018, 2019, today, that maybe the NASDAQ represented back in the 80’s. Okay. So people, so I guess, the wider culture isn’t yet fully aware of this opportunity? No, no, and it’s because, as I mentioned, this asset class has not yet really come of age. The information is poorly organized, it’s incredibly frustrating to get ahold of good information, it’s a nay sent industry, it’s really blown up in the last decade. So think of 2008 as being the beginning of, there’s stuff before that for sure, you’ll hear old timers talk about how they made a million bucks back in the days of dial up before Y2K. But the reality is that this industry’s blown up since the financial crisis. Heck, most of the website brokers weren’t around during the financial crisis, the ones that I talk to. And a for sure, below ten million dollars, don’t have any institutional money coming into the asset class that jacks up the prices, that raises the prices. And so, you still have an opportunity to go in and buy things at really cheap levels. By the way, you know, brick and mortar small businesses trade really cheaply too, it’s just that I don’t have any interest in owning some kind of a franchise or something that’s a brick and mortar business. Generally I don’t have an interest because I think the trend is to go to eCommerce in most industries I look at, the bigger opportunity’s in eCommerce. And so, I look at that as being just a better way to participate in small business to be honest with you. Okay. It seems like also the flip side of this being an established industry for 10 years means it’s probably easier for people to jump in? First of all, $17,000 was only a fraction of what I had allocated, I looked at it as a university education, and university of the internet, and my tuition, and I was sure that on this website, which was an eight year old website, I wasn’t gonna lose all my money, and my wife and I would figure it out. And low and behold, I have incredibly fond memories of that. But I had to shame myself into doing it, I literally put money down on that one, took it back, and then bought it one month later. If you could go back now and tell yourself right before you pulled the trigger, a piece of advice, what would you tell yourself? I should’ve gotten better advice from someone who would have instilled more confidence in me and helped me get to the point where I felt comfortable. To be honest with you, I think the single biggest question that I get from people that read the blog, is, “How will I know when the time is right, how will I know when I’m ready?” And the best answer, whether that’s taking swimming lessons, or riding a bicycle, or buying a website, is get help. Get competent help and for anything out there, you have to find someone who you’re like minded with, who gets you and who is not going to push you to do something you don’t feel comfortable doing but will reason with you and will hold you accountable too. So, that’s what I needed and I kind of solved for it in my own head and in my bedroom, which we’re recording from right now. And my wife and family were not here yet. All I did was talk to myself all day, every day about it, it was horrible. It was a horrible conversation I had. Yeah. So it sounds like it was a scary experience to take that first leap, right? Oh yeah. Yeah, yeah, yeah. ‘Cause I was talking to these website brokers and it was like the panel van rolling up to the elementary school and the door opens and they try to sell you something that you shouldn’t be buying, right? And you just are, feel like, oh my, you know it’s the old adage that if you’re at a poker table and you don’t know who the sucker is. Well, clearly I didn’t know who the sucker was. At least I felt like it, I felt like it. But the reality is, after putting deposits down on 53 websites, I knew as much as I was ever going to know, except for really diving in and doing it. S you kind of got to that point where you realized there’s nothing more I can learn without doing it? Yes, yeah. That’s the realization and you have to push yourself and do it. And it’s 100% the case. And it was a positive experience, you stuck with it and. Well, positive, month later we bought website number two, so. It was so good that we bought website number two and then we managed these two animals and I started fooling around buying some smaller ones on one of the exchanges. And even those would’ve been, if I’d focused my time better, could’ve paid off well. But as we’ve chronicled before, website two did really, really well and was in a much bigger niche and so it had great opportunity. So we spent more time, website number one was a purchase that was designed to minimize risk and be a proof of concept. Website number two, I said to myself, “Hey, I want to be able to, let’s, for lack of a better phrase, roll the dice, and attack a bigger niche where if I get it right, I can make a lot more money.” So I targeted a bigger niche. Website number one served its purpose wonderfully well. It was my tuition for the university of the internet. It continues to produce to this day, it just pails in comparison for what number two has been able to scale to because we got quite lucky, which I’ve written about also. And so, number one allowed us to have the confidence to do number two. So, after 53 deposits, we finally got there. Okay, great. Well, I think Ian, I think you made your case. I think you gave us a lot of good advice to get started. So, thanks. Well, I hope I disabused at least one person of thinking that they can start a blog to fund their retirement, okay. And I would certainly hope that people would take the kind of, the look, if you walk away from this with one thing, I look at investing from a institutional perspective in my day job. I can tell you that investing in websites, websites are incredibly cheap asset class. Yes, you have to work on a website, which is to me, it’s a great opportunity if you bring the skills of anybody that’s been any, had any kind of professional skills, even any life skills. And then you bring that to it and then you’ve got this enormous pool of outsource workers that we all access on a daily basis and learning how to utilize that to your advantage makes it a, it makes it just the opportunity, what I call the opportunity of a lifetime. I’ve written about that too. I think it’s the opportunity of a lifetime, write that down and if anyone should have a question, please leave a comment, email me, would love to, would love to help someone. Okay. All right, well, thank you so much Ian, we’ll catch you next time. Okay Ryan, great talking to you. All right folks, there you have it. 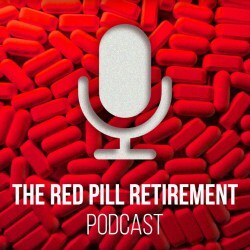 That wraps up my conversation with Ian Bond of the Red Pill Retirement podcast. He shared a ton of valuable insights and advice today on the debate over buying and building online websites. As always, we’ll link up any tools or resources we discussed in the show notes at Red Pill Retirement dot com. I hope you enjoyed our conversation and consider subscribing, sharing a friend, or laving us a review in your favorite podcast directory. Until next time, best of luck in all that you do, and we look forward to seeing you on the next episode of The Red Pill Retirement podcast.